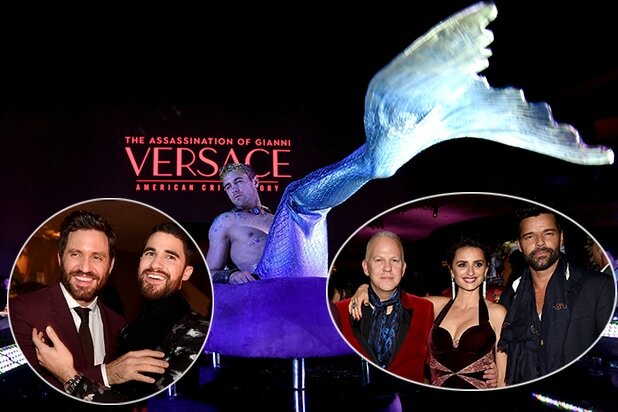 FX threw a premiere for “The Assassination of Gianni Versace: American Crime Story” as lavish and opulent as the Versace mansion on Ocean Drive in South Beach. 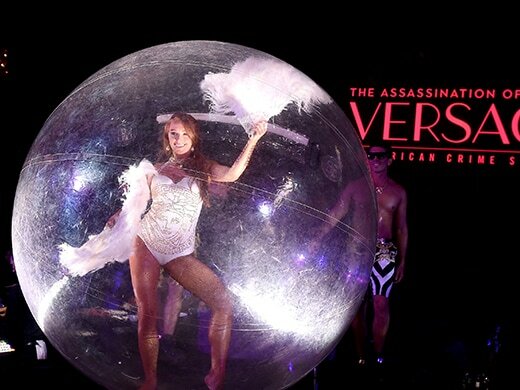 Over 1,200 guests filled the Arclight Dome (and a spillover second theatre) in Hollywood on a rainy Monday night (Jan. 8) for a screening of the first episode just hours after the last Golden Globes parties wound down. Planting a premiere on the night after a major awards show is risky business. Creator Ryan Murphy’s home studio had a gaggle of models pantomiming “1990’s Miami” in poolside vignettes and a nymph rolled down the catwalk in a transparent orb. The runway-as-centerpiece underlined Versace’s prime medium, fashion, something that takes a backseat to the sensationalism surrounding the events in the first episode. For comparison, the last time I was inside the Arclight Dome for a premiere of any kind, it was for Quentin Tarantino’s “The Hateful Eight.” That event movie “only” filled the Dome theatre on its own and shuffled guests off to a more quaint party footprint. That wasn’t the vibe here. There is nothing unsteady about how Dana Walden, Fox Television Group CEO/Chairman, feels about the upcoming series. The show is a follow up season to “The People v. O.J. Simpson,” which set off weekly “fact check” coverage, thrust Marcia Clark back in to the national spotlight, and earned rave reviews for Sarah Paulson, Sterling K. Brown, and Courtney B. Vance on its way to nine Emmy wins. This new season arrives without unanimous support. 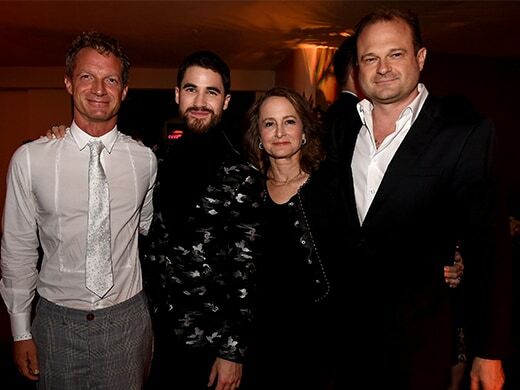 Earlier on the day of the premiere, the Versace family came out swinging. They called the series “a work of fiction”. 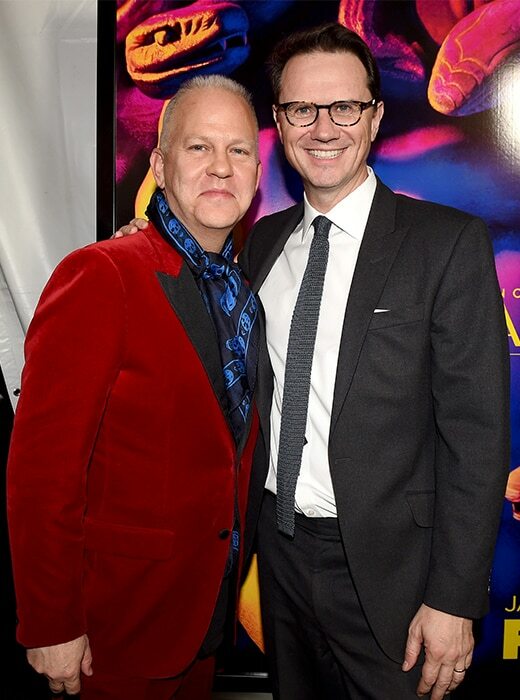 Neither Murphy, nor Walden, FX CEO John Landgraf, or EVP of Communicaitons John Solberg addressed the controversy in their remarks at the screening, though it has been acknowledged. The studio is marketing the series with a double qualifier: “inspired by actual events”. 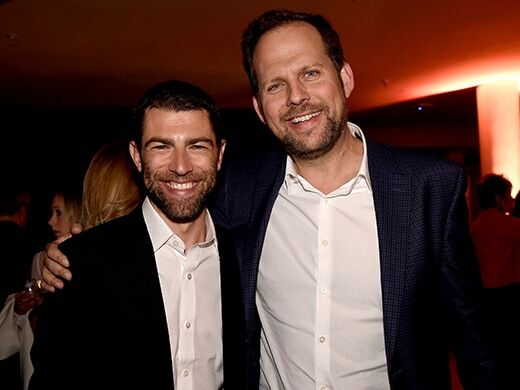 The qualifiers “inspired by” and “actual events” are legal shields further down the spectrum than a more precarious billing, such as a “true story.” They also put out a statement that they stand by author Maureen Orth’s reporting on her book “Vulgar Favors,” which serves as the source material for the series. Based on the enthusiasm for this on both sides of the camera and the corporate muscle leaning in to this, any controversy should only fan further interest in this next chapter of ’90s media storm nostalgia. Much like the opening moments of the show, it’s going to (spoiler alert), go off with a bang. 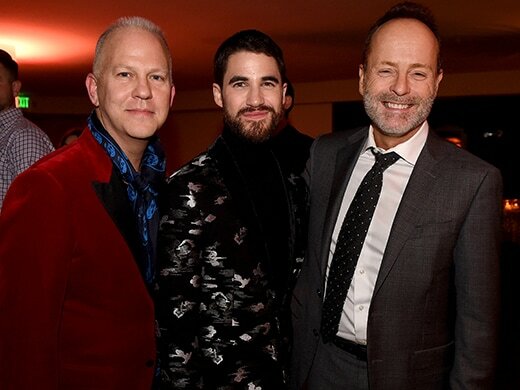 American Crime Story’s season two, “The Assassination of Gianni Versace”premieres on FX on Wednesday, January 17, at 10 p.m. ET/PT.